An article or any kind of online content has no value if it is not well SEO optimized. If search engine can't read your content then how come the world's gonna know about it? 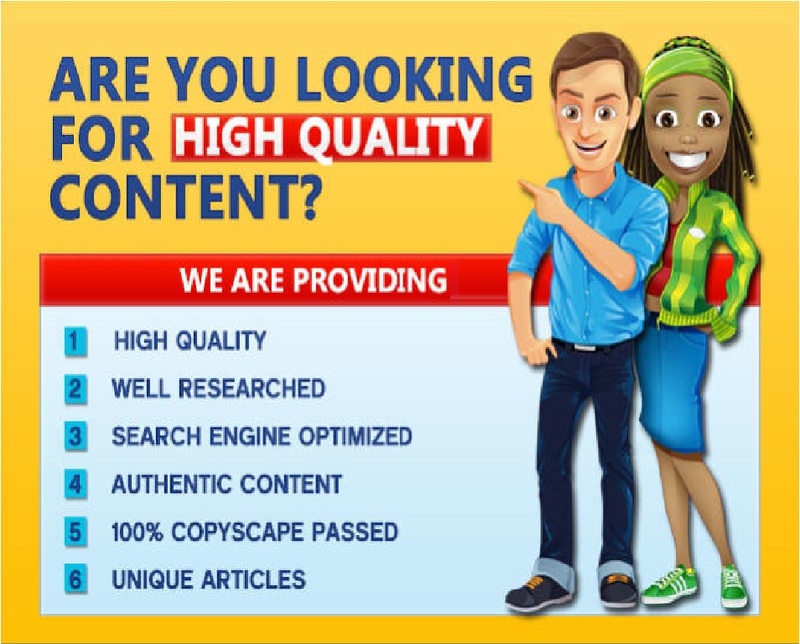 I have well experienced team who will create content for you blog, web, including, copyrighting and reviews. What Did I requires from you? My name's Rima, and I'm a freelance writer with 4 year experience in content writing, content marketing, copywriting and copy-editing. Writing has been my passion since childhood....Read moreMy name's Rima, and I'm a freelance writer with 4 year experience in content writing, content marketing, copywriting and copy-editing. Writing has been my passion since childhood. A have experience in writing articles, product descriptions, and content for websites. .Professional Article Writer, Blog & Content. And also I have done any data entry, data research, excel work, email marketing, internet research and product upload in a e commerce websites. ► I just need your keywords, a short brief and your job gets done. Simple! ☼ My Guarantee☼ If ANYTHING about my written content makes you unhappy, I'll rewrite it for free until you are 100% satisfied.